There are a million questions I had when I started quilting. Some of the information needed was readily available, other info… not so much. 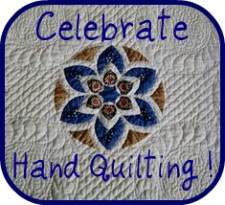 I still do not consider myself anything beyond a beginning quilter and find a VERY happy place there. I’m still in the honeymoon stage of being delighted and frustrated over the simplest things at times. While I was working on a quilt top two nights ago, my wife walked in on me staring at the two halves of my quilt top. She asked what was wrong when she saw me staring. The quilt top was one that you have to assemble diagonally and I was trying to figure out which side needed the piece of fabric that I had left. Unlike some projects, having a piece left over when you know you’ve cut the exact number does NOT work in quilting. What scissors should I use? Which fabric brand do I buy? Where is the best place to buy this stuff? When using a rotary cutter should I try to stay straight, or cut at a slight angle? How do I get the points to look good in this pattern? No matter where I looked people seemed to avoid answering questions where personal preference was concerned. My take on it is that if someone has asked, give them your personal opinion but do not be broken-hearted if they end up going a different way. I had just wanted a place to start from. I’m sure at any stage we all have questions that need answers. Some of these answers we get from a book or a magazine, some we seek from our fellow quilters/mentors, others we plunge into headfirst and after our 20th redo, find the answer ourselves. Wherever your answers come from, just remember that all of us at one time or another has had the same questions. Don’t be afraid to ask the questions… and support those that are new and try to help with the answers.